New York-headquartered Payoneer is exploring new lines of business in India as it looks beyond its staple offerings of cross-border online money transfer and digital payments, a top executive told TechCircle. Payoneer’s core business is opening local accounts for businesses transacting in different countries and helping them send and receive payments in different currencies. It is currently in its third year of operations in India since re-entering the country in 2016. The company earlier offered card-based services in India but had to wind up local operations in 2011 after falling foul of the Reserve Bank of India. 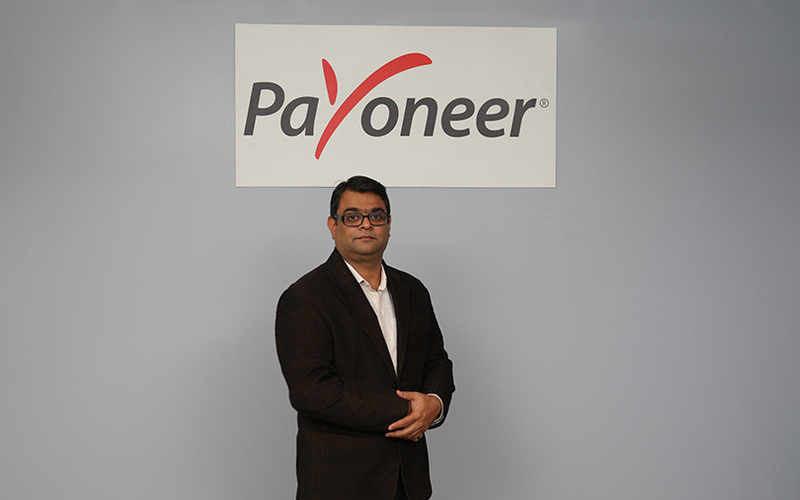 Now, Payoneer plans to introduce a working capital product for e-commerce sellers in India by the first week of July, said Rohit Kulkarni, country head at Payoneer India. The company has already kick-started the process of on-boarding non-banking financial companies (NBFCs) and banking partners for this purpose. “We are close to launching our working capital product called Early Payments in India. It is targeted at sellers on e-commerce platforms, wherein we provide up to three to six months of working capital based on their receivables,” said Kulkarni. This puts Payoneer in direct competition with multiple business and SME-focussed digital lending platforms in the country, including the likes of Amazon- and Sequoia-backed Capital Float. Globally, Payoneer has a working capital product for sellers on Amazon and Walmart called Capital Advance, an extension of its Early Payments product launched in 2017. Founded in 2005, Payoneer is backed by Beijing-based CBC Capital, Chinese insurance major Ping An and US-based private equity firm TVC Capital. The company has a user base of 40 million monthly active users across 200 countries. India, however, is the only market where Payoneer caters to both the manufacturing and services sectors. While media reports suggest the company is looking to raise another round of funding, it is also aiming to grow its product base in India to include reputation management for firms. “We are looking at how do we help people manage their reputation as we have a lot of information about their finances and what their business is. We will come out with a trust-based product,” said Kulkarni. He added that another focus area will be partnering with payment gateways and checkout solutions for its clients in India. While the company’s USP is providing a platform for businesses to transact in international currencies at low cost, it also provides features built around tax compliance and aggregated data and intelligence on inventory across marketplaces. For instance, Kulkarni said that Payoneer informs sellers which stock keeping units (SKUs) are faring well. “[This] is the kind of intelligence that marketplaces do not provide and has helped us capture the e-commerce sector,” said Kulkarni. In India, Payoneer’s client base mainly comprises sellers on online marketplaces. It has also added the services sector, offering payments for mobile app development companies and others over the last five to six months. “The top five IT services providers in India aside, the market for us is $12-15 billion which is growing at an annualised rate of about 8%,” said Kulkarni. “Another key segment we cater to are goods export, particularly e-commerce exports which is hardly 10% of the overall $30 billion retail export segment but is growing at 15% annualised and is likely to become a key segment,” he added. While the company is not averse to acquisitions, it is not exploring inorganic growth at the moment. Instead, Payoneer will focus on leveraging its existing business, said Kulkarni.